We are entering our second trimester! Despite our fears, it is a standard milestone to hit. Chances of miscarriage go way down now. Deep breath - we have a nasal bone! Our NT scan results were in email this morning as promised. First let me say how we are so impressed with SCI! When they say they will deliver results, they do. I know an ongoing complaint in our Indian surrogacy society is poor communication and not delivering updates on expected dates. We are very fortunate that we are not experiencing this, and I am not sure at this point if we could even deal with that! Most importantly today is that we 1. have a nasal bone and 2. our Nuchal luceny is very low. All of this boils down to a visual check that we have no visible genetic abnormalities! Babies heartbeat is a steady and strong 152 beats per minute and CRL measurements put Alan at 12 weeks 5 days! So we are now in our 13th week and this is where our past starts to haunt us. It is usually around this time that there have been early signs that things will not end well. We are trying VERY hard not to let this haunt us as this pregnancy is not in my body and therefore things will go very differently. As much as I can say this out loud, deep down inside of me the seeds of horror and doubt do pop up on occasion. On to happy things....Alan pics! We sent a gift voucher to our lovely surrogate last week for a department store called Shoppers Stop. Having been to this store in Mumbai we knew it had a great selection of personal and household items. We were very fortunate to see pictures of our girl wearing her new luxurious shawls that she treated herself to with the voucher. It was a really wonderful surprise from SCI to get these surprise pictures. Not expected at all!! Obviously to protect her privacy I have cut off her face but left a little bit of her smile as it lit us up and want to share it with everyone! Our nextfamily update is live! This weeks entry details our first and second "negatives" and how we turned to red wine to numb the pain. 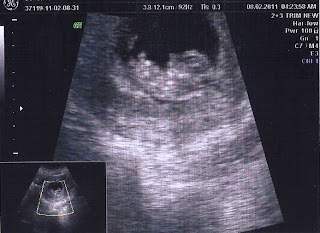 Tomorrow is out NT scan..finally, the waiting is a killer!! 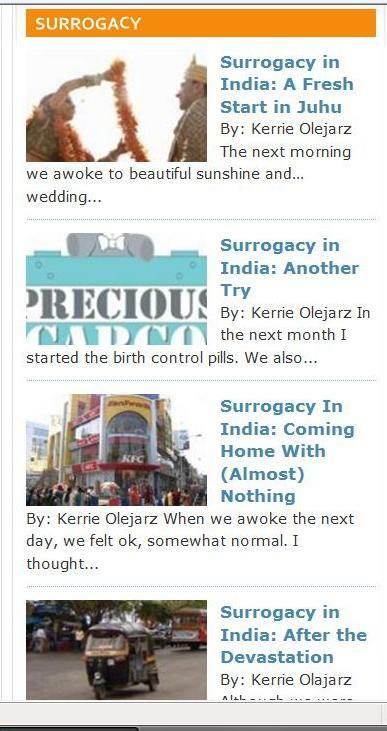 Our secret society of India surrogacy is exclusive yes, but sadly always open to new members. No initiation is required!! We really have created a community or society of unique and interesting people, all struggling with infertility and looking for hope in India. Today I feel sentimental towards you all as I reached out for help "Please click on our google ads on our blog" and the results are showing. Most of you who visit our blog have clicked on one of the ads during your blog view...thank you!!! To support our surrogacy journey on the standard DINK (dual income no kids) lifestyle is not easy. Those of you who have been through it know the anxiety of the process, both emotional and financial. Any tidbits help with distraction, like Micah's mom who scrap booked to stay preoccupied during the 9 month wait. Fortunately we feel very good about our pregnancy, surrogate and clinic choice so there is very little anxiety around this. Sadly though, it took us two years of trying and that costs us some dough. I have toyed with the idea of a part time job, but I am exhausted after my 70 hour work weeks from my full time "career" position. I decided to start the Google Ads as a source of additional income, as small as it will be, it may buy a car seat or something. Most of us going through this journey do not have any financial help from family and although we are at an age where we are some what settled, the time and investment can be taxing. This is not a poor poor pity me post, it is just the reality. We are thankful for all we have and look at this as the same investment as buying a BMW with a 5 year payment plan, except no car, just an opportunity to change our life, have a child and be a family. ps..we have a professional athlete from Dallas following us now, welcome!! Screening tests do not look only at results from the blood test. They compare a number of different factors (including age, ethnicity, results from blood tests, etc...) and then estimate what a person’s chances are of having an abnormality in baby. This is a screening test, not a diagnostic test and the results will decide next steps if god forbid they are not favourable. But, deep breath, all will be fine! I guess we are just lucky in this day and age to have almost too much information! Why is it that when an email comes from the clinic in India your heart sinks?? 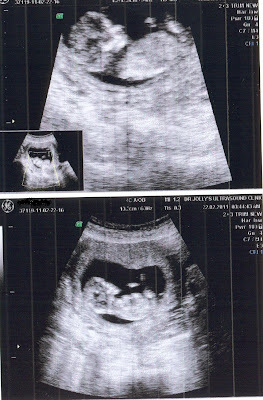 Sheesh, the years of infertility sure do haunt the current pregnancy!!!! I guess we just expect things to go poorly at some time so we wait. I posted a while back about waiting and I still feel that we continue to wait. We have about 26 more weeks of waiting, if all goes well and these weeks will surely be full of more heart sinks and sleepless nights. So we caved to Google Adsense. It was not added to our blog in haste. I researched the bejesus out of adding these ads. We decided why not...try it for a while and see what happens. We can all use extra cash and why not try to generate it via the web, our personal outlet, our blog. We feel a bit like we are "selling out" but at the same time hope it generates enough cash for even the smallest baby purchase. Yesterday we were on our frequent flyer points website store and for the first time in a very long time we were brave enough to click on the menu for "baby furniture and accessories". It has been many many years since we could do this. We have points and almost impulse bought some things but the reality is that it is still too soon for us. Next week will will have out NT scan and CBC blood work. We are now entering our twelfth week...yes, 12! The time does go quickly and we are at ease knowing all is under control on our behalf in Delhi. We have sent a gift voucher to our surrogate for one of the department stores. The closest to her is a bit of a hike but we figured she could shop for anything she wants with this voucher (household items, stuff for her kids or herself, cosmetics etc). It is just so hard to pick a perfect gift for a woman who is doing the most monumental thing for you. We opted to wait to this point in the pregnancy for it all to be a bit more real for all of us. Lastly I watched the Dateline episode on Friday night which detailed the mix up of embryos at a clinic in the US. Quite the story and a real reminder that human error is always possible. Here is the link of you are interested http://www.msnbc.msn.com/id/3032600/ and the story is called Inconceivable. We are still attempting to resolve the tax issue the Mumbai customs want to apply to shipments. We continue to work closely with the clinic there to get this resolved so we know exactly what the expectation is as well as any associated costs. For the time being we have held off shipping anything into or out of Mumbai until we get this resolved. Fortunately we aren’t experiencing this problem in other areas of the country and continue to ship. Hopefully this will help clear up any questions. It is sad but true that Mumbai is the only entry point affected at this time. I meant to ask Greg about routing through a different city then onward to Mumbai...maybe I can get Greg to comment here for every ones ease. Everything is going well so far and we are 10 weeks 1 day (ok, in our 11th week). 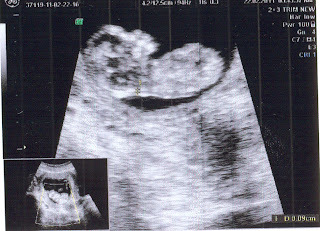 Next scan our baby will be called a baby as at 10 weeks they switch terminology from embryo to BABY! All is well with our 31mm (1.22047 inch) growing miracle and surrogate. It is absolutely amazing that in two weeks our little one has doubled in size, it really is a miracle. Alan looks to have a large nose in this picture - damn Polish genes! Our surrogate is doing such a great job keeping our little one safe and healthy. We hope she feels well and we are so proud of her. ﻿ Dr Shivani and team are busy busy these days but always keep up great communication with us (which is so so critical). Thanks team SCI! 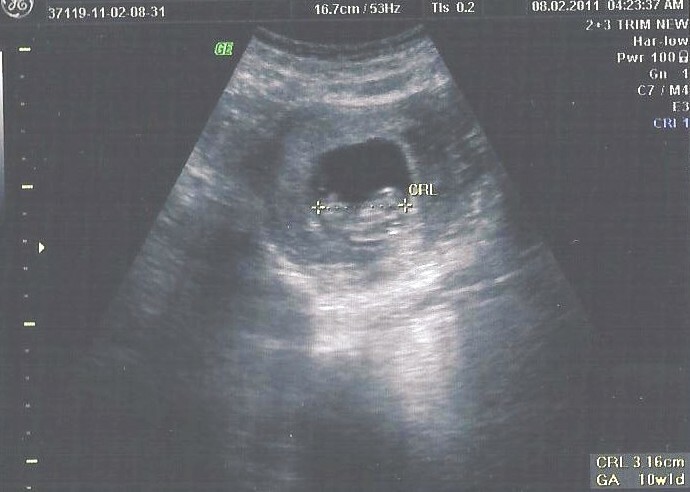 We have made it to 9 weeks in our pregnancy (now entering our 10th). Next Monday we will get a new set of scan pics and details. We have decided to send Sumita a gift, something small to show our immense gratitude. How can we ever thank this woman, she is an angel. ﻿ We are thankful that so far we have a very boring pregnancy!! !